Dallas Residential Real Estate is as varied as the people of Dallas. The home buyer will find starter homes for under $100,000 in economically challenged areas of south east Dallas ranging to multi-million dollar estates in areas such as Strait Lane and Preston Hollow. Turtle Creek real estate is dominated by high rise condominiums, while downtown and surrounding downtown areas are experiencing a rebirth with buildings being converted into lofts. 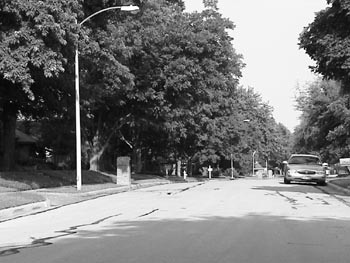 East of downtown Dallas are the historical areas of Swiss Avenue and Lakewood. Real estate shoppers will find homes from the early years of the 1900's. A recent trend has been the purchase of the residential real estate properties as restoration projects. Moving North home buyers will find the Tudor style homes of the M Streets and then homes built in the 50's and 60's of Lake Highlands and East of White Rock Lake the Casa Linda and Forest Hills with older homes. The north central areas of Dallas include the popular areas of Bluffview, Preston Hollow, Preston Royal, Preston Forest. These residential real estate areas are located west of the North Central Expressway and inside the LBJ loop. The homes in these areas range from the $200,000's to multi million dollar estates. North of LBJ Freeway the residential real estate landscsape includes much newer homes and neighborhoods. South of downtown Dallas Kessler Park and Keist Park. Further south is Oak Cliff. Homes in these residential areas were built from the 20's through the 60's. Rolling hills and subtle elevation changes along with Elm and Live Oak trees describe the topology of the Dallas residential real estate landscape. If you want to search the MLS (multiple listing service) for a home to buy, visit some of the many Dallas residential real estate websites.